Just suppose that when you're on the go or taking part in a party with your friends, iPhone as the most popular personal mobile phone in recent years, have been placed in your friends or your bags or pockets. Then when the familiar Apple default ringtones is ringing, here is no hesitate for you to take out the phone and prepare to answer it. However, when you really took out the iPhone, you found that here is no reaction on your device. Awkward, right? So why don't you get an unique ringtones for your iPhone 6 Plus, iPhone 6 or iPhone 5S/5/4S/4? As it is known to all that you can purchase iPhone ringtones from iTunes store, but it is no doubt that this could be a great spending while you're frequently changing the iPhone ringtones. So more and more iPhone users tried to find a free yet effective way to download iPhone ringtones on the Internet for free. And the facts proved that they have done it. Thus, in this page, we could like to pick up the top 3 free iPhone ringtones downloading sites for your reference. You can compare them and decide which one is better according to your own specific needs. How to Get or Download Ringtones to iPhone 6/5S/5/4S? This is a simple site that provide users with free ringtones for iPhone and other mobile phones. The popular music or songs in recent days will be listed in the home page for your reference. You can directly download the recommended ringtones to your desktop computer with one simple click, or you're allowed to type the name of the ringtone in the searching box, and locate the specific ringtones as you like, or you can even upload files, cut files and make your own iPhone ringtones without hassle. 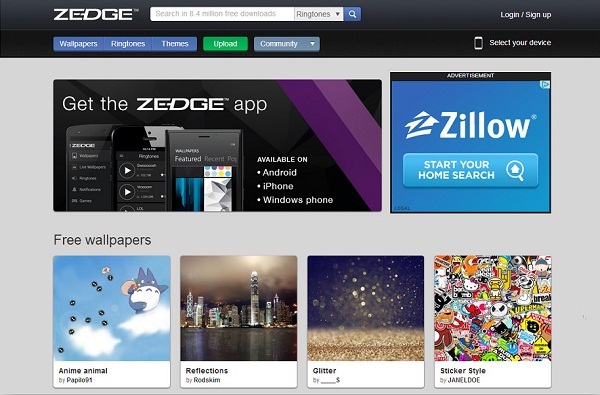 Zedge is free online source that provide users with tons of FREE wallpapers and ringtones. Files on the site have been categorized very well, so that you can easily find the file if you have a clear target in your mind. What's more, this site will offer users something more original than the latest songs that's being played on the radio. And for registered users, they're allowed to create and upload their own iPhone ringtones with the online tools in the site freely. iPhone Ringtones has tons of free resources for your reference. In addition to ringtones, wallpapers or themes for iPhone are also can be found in this site well. You can directly download your needed ringtones, wallpapers or themes to computer without registering. Believe us, you can find any types of ringtones for your iPhone without spending money. Cool, right? After downloading your desired ringtones for iPhone, now you may wondered of how to sync downloaded ringtones from computer to your device, right? Don't worry, we'll show you the detailed steps in the following. How to Sync Ringtones from Computer to iPhone with iTunes? 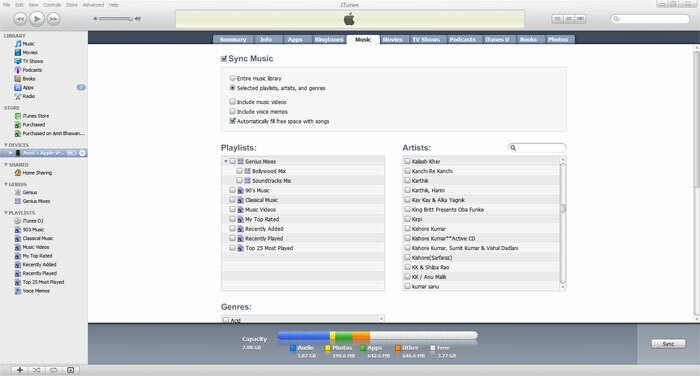 1) Run iTunes on your computer and click "File" > "Add File to Library" or "Add Folder to Library" in the top menu to import music files from computer to iTunes easily. 3) Select "Sync Music" to import all ringtones to your iPhone with one click. And in order to avoid losing these precious iPhone ringtones by accident, you're strongly recommended to backup the contents on your iPhone to personal PC with MobiKin Assistant for iOS.